To create a jar is always a big challenge for ceramists. For large pieces you sometimes need a whole week of work on forming. 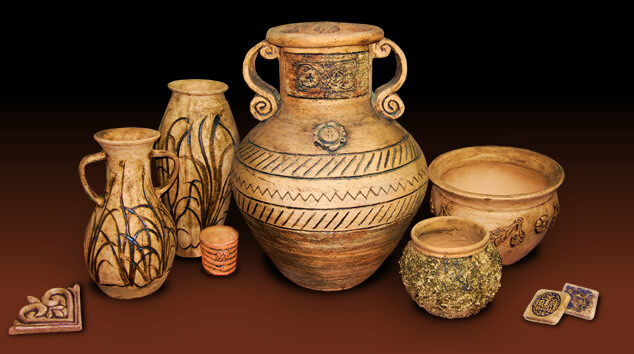 Once used mainly for transport and storage of content, today jars are dominant as details in homes and other indoor places. These carefully selected and unusual, but with recognizable terracotta tones, forms of decoration will help your plants get a special place, both in the interior and exterior. Baked in high temperatures, our terracotta reaches high resistance. The game of light and shadows, with skilled hand moves in clay, gives an unusual charm to your surrounding and allows you to get quite a different picture of your house in different period of a day. From a torch as a symbol of life, to modern designed lights and lamps, choose a model that will best fit into your living space. Check out our range or lighting.